Before you read this note, there will be minor spoilers. I attempted to avoid anything, but they exist. I will be perfectly honest, it was hard for me to not go into Kingdom Hearts 3 expecting to be disappointed. It has been so many years, and I have had a huge shift in my feelings for the series. Still, Kingdom Hearts was important to me as a gamer, it was part of what shifted me from pretty casual to entirely in love. Yet over the years the disappointment of not having another console game, plus my added disappointment with the handheld series really put me in a position that I was simply unsure about this game. Perhaps I am getting too ahead of myself, here are my thoughts about the series overall to start us off, then this entry. Going back to Kingdom Hearts, it was actually my first real console game. Not the first I played, no, but the first I owned. Crazy yes. Growing up my mother didn’t care for video games, and my father never much had an opinion. So her lack of desire for us to play kind of ruled, or as much as it could. When we got our first computer (an Apple II), we did end up with a few computer games, though mostly on the educational side like Oregon Trail, Carmen, and the like. As the years passed there was some degree of gaming in my home, including us eventually getting gameboys, but not much. No, most of my gaming experience was at my friends’ houses, and boy did I game at my friends’ houses. I played Goosebumps Escape from Horrorland and Banjo Kazooie more times than I could dream to count with my best friend. My mother’s good friend had a son my age, and we played a lot of DOOM and Mario 64 together. There were many experiences like this with different people, but for my own gaming, it was limited to games I could get for whatever computer we happened to own at the time. At some point that changed, and I was given my PlayStation 2 and the game Kingdom Hearts, which I desperately wanted after playing some of it with my friend. I went nuts. I got it for Christmas and by the time my short holiday between unwrapping it that morning and going back to school not long after was over I had played it to death and was still playing it more. It wasn’t just Kingdom Hearts though, it was all gaming. Suddenly the fun of playing games nonstop all weekend at my friend’s houses was open to me. And boy did I go mad with it. 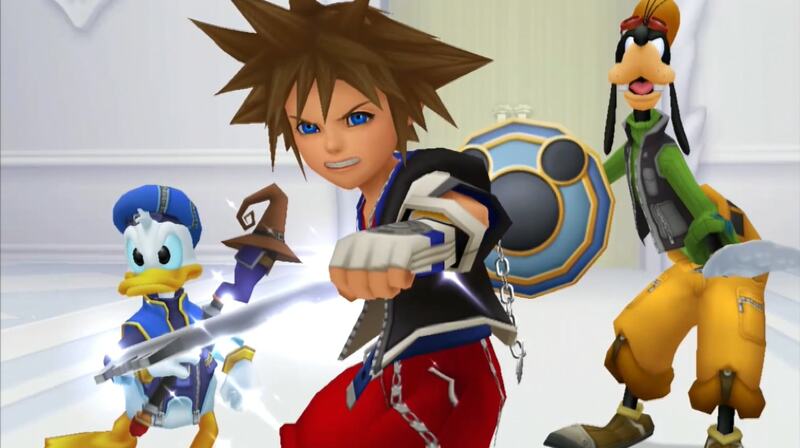 There were many games in my new obsession, but Kingdom Hearts remained one of the top ones. I beat it many times, and I anxiously awaited the second game. It finally came, though this time when I was in a new stage in my life that did not allow for as much gaming time. Still, I found the time to play through it a few times. Overall I liked it, but I was somewhat disappointed. I didn’t care for a lot of the changes made, and I felt a shift in the game from the first. I liked it but didn’t love it like I had Kingdom Hearts. I had liked that Kingdom Hearts was rather simple, it felt more “Disney” that way. It was a story worth caring about, but it wasn’t one that felt bogged down or overwrought. It was about friendship, inner strength, and the importance of love and light. Cheesy, maybe, but still kind of the perfect tone for a game that was half Disney. 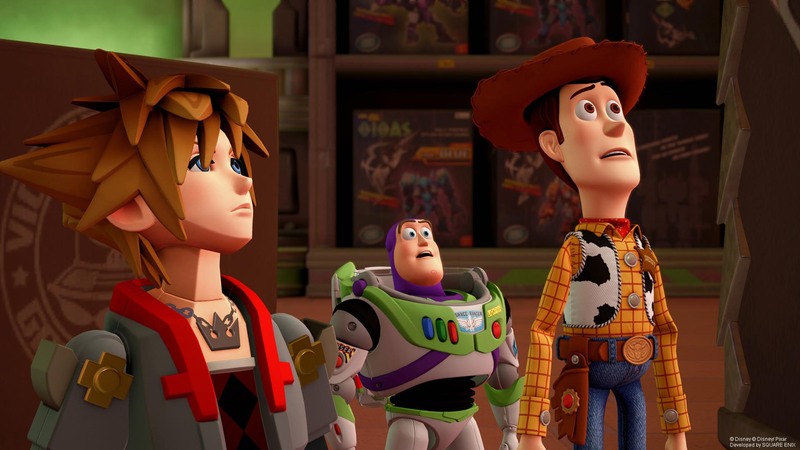 Kingdom Hearts II hadn’t completely abandoned that, of course not, but in the process seemed to start adding more to the plot without really thinking about why. But still there was clearly going to be a third, so maybe that would help. In the meantime, there were many handheld games, and this is where I just really fell off with Kingdom Hearts. In fairness, I never actually finished any of the handheld games (something I want to correct now that I can on the PS4). However, it also says a lot because at the time I played them I was one of those folks that once I started a game, I almost always had to see it through. The fact that I kept putting the handheld games down… kind of says a lot for the gamer I was at the time. Dream Drop Distance is the one that stood out the most to me because it was simply too much. It was like they just vomited every idea that they had for Kingdom Hearts and all the possible crossovers onto this one game. By the time that Kingdom Hearts III was once again announced I kind of didn’t care. A huge part of me didn’t think it was happening, and another part of me wasn’t sure that I would even play it. I didn’t like how out of hand the plot had gotten, and I had just waited so long. When it got to the stage that worlds were being announced I was even less excited. I suddenly realized how old I was compared to when the first game came out. Most of the worlds put in were not for me, but for a younger generation. It’s not that I dislike Tangled or Frozen, they are decent movies. It’s that I was an adult when the movies came out, so my enjoyment of them was a bit stagnate and could never compare to the nostalgia and love that I had for movies that I grew up with. Still part of me, for all the negativity I had, really wanted to play this game finally. 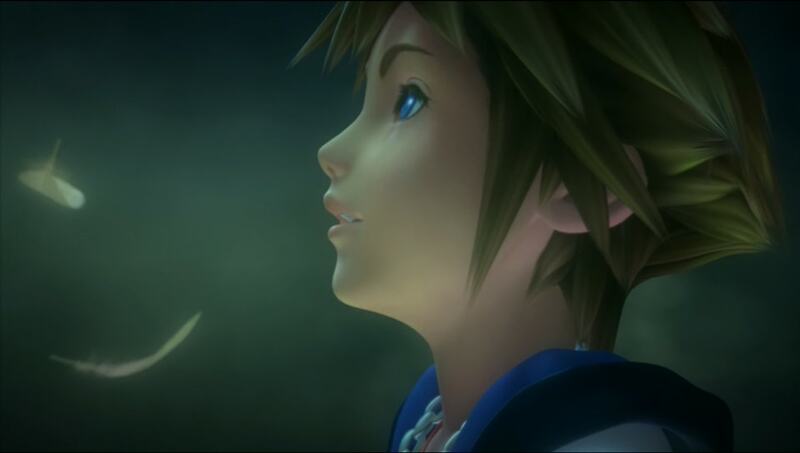 With everything that Kingdom Hearts once meant to me, for all that it was my favorite game for years, I wanted to see it through, and I wanted to love it. So, I am only roughly a third of the way through and well… I am kind of torn. I am equal parts disappointed and in love. The gameplay is still way overdone. It still has a kitchen sink quality where they just threw everything at the player. There is so much stuff I feel overly bogged down in it at times and unable to simply enjoy the experience. Most the battles are just jumping between “special” attacks and cycling through those instead of actually fighting. There are additions like “stone stepping” which are annoying and unneeded. The game is still trying to do too much. There is also the problem that it is slightly unapproachable if you haven’t devoted yourself to the series. You aren’t entirely shut out, but if you’ve missed a game or two (or all) be prepared to be confused. The convoluted nature that the series has taken is back in full force, and I am sorry, but I cannot emphasize enough that for me personally, it has damaged the series overall, not helped. Now that doesn’t mean I hate it, I don’t, or even think it’s bad. It just means for my preface it’s become a mess, and I would rather go back to a more simple time. So you hate the game? Well no, I actually still love it. It has a lot of goofy fun in it, and the world building is pretty great. It’s a bit heavy on cut-scenes, which is shocking for a story lover for me to say, but I actually have been enjoying the experience. Despite my disappointment and issues I am mostly still positive on it and feel drawn to play it when I can. 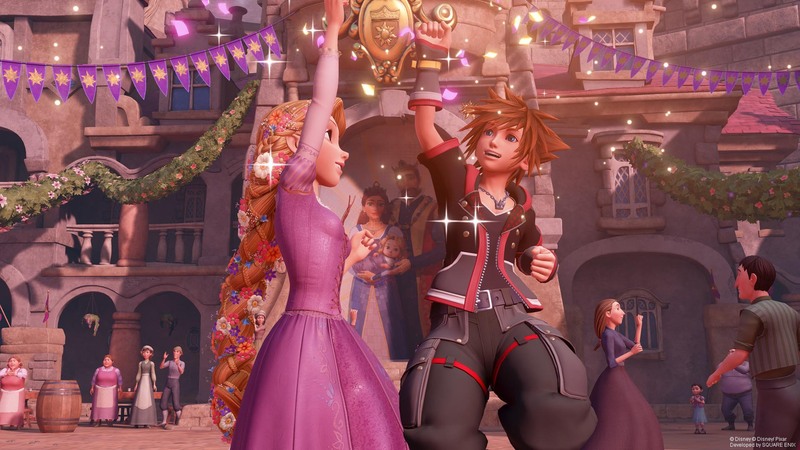 For me, with Kingdom Hearts there was something that always drew me in, and Kingdom Hearts III has managed to replicate that. To the point that even though I huff about issues, I still want to play. It’s fun, it’s cute, it’s charming, the story is well built enough that I am curious. I would say at this point (and again I have a lot to play) that it was not worth waiting over a decade for. However, now that I have it I am enjoying it. The game is ultimately cursed by its circumstances. Had it come out five years earlier I would likely be more gentle with my reaction, but we cannot separate how long we were made to wait with the final product. I am excited to play more and am having fun, but still, I am sadly where I thought I would be… liking the experience but not loving it, and that bums me out. More impressions to come upon completion.